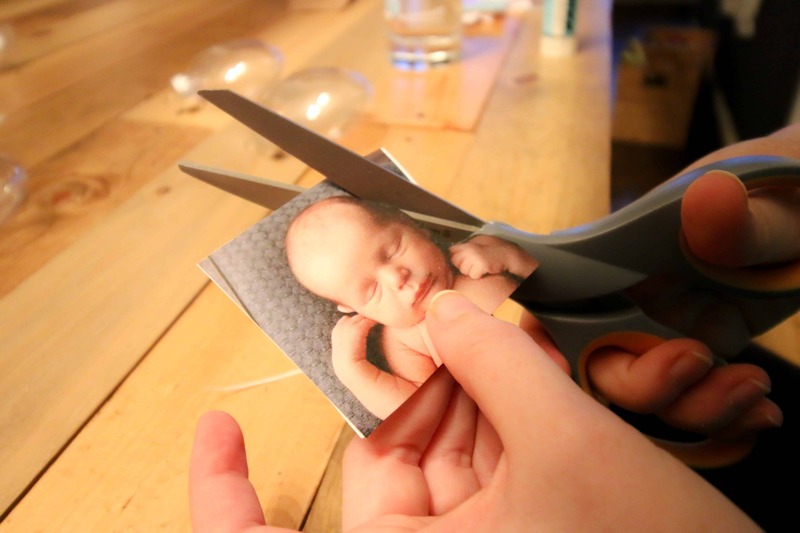 These DIY Photo Christmas Ornaments make great gifts! When you have a baby, all the grandparents want is pictures of the baby. We are trying to come up with creative baby-themed holiday gifts this year. 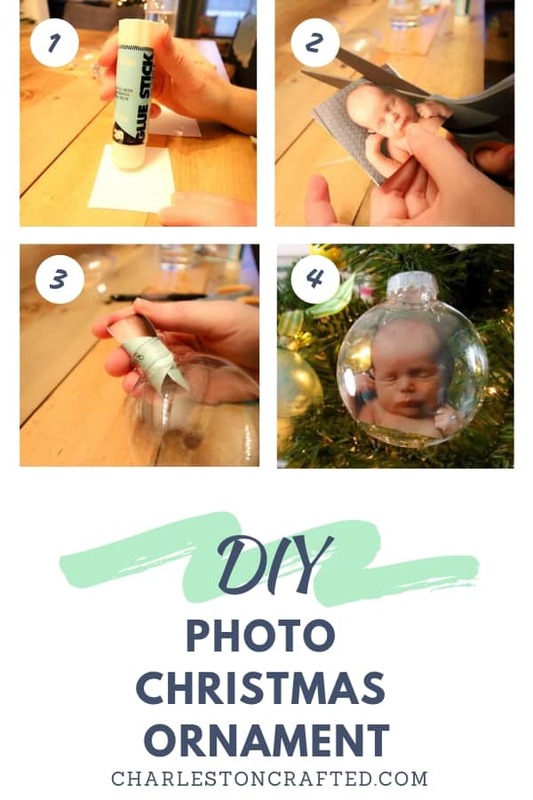 These DIY photo Christmas ornaments could be perfect for a baby’s first ornament or to celebrate any awesome photo. 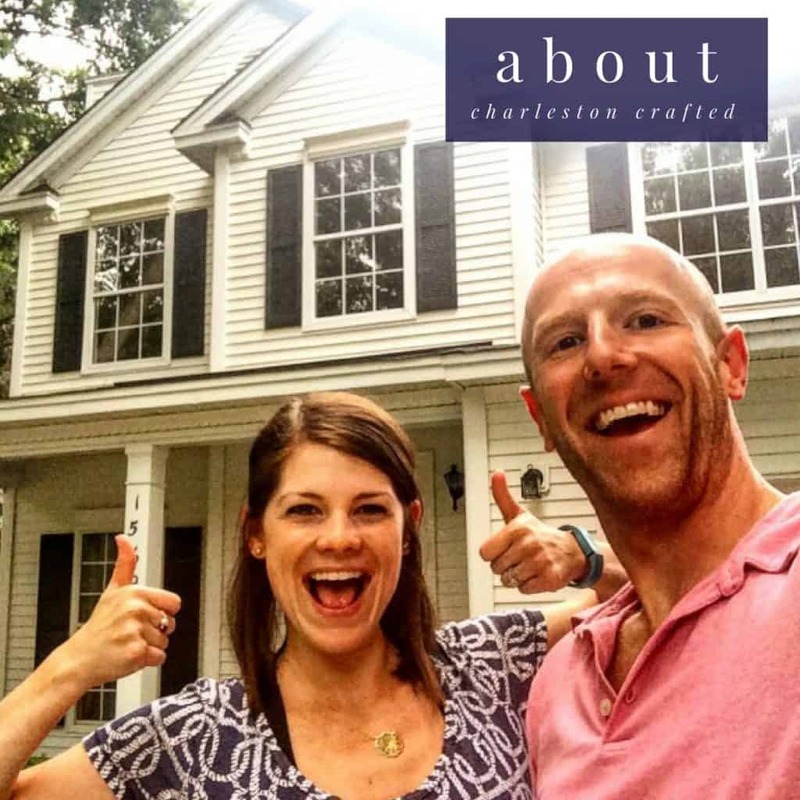 Click here to pin this project to your Pinterest board! I made my ornaments with a baby photo of Luke. On the back, I added his birthdate. I think that it would be so fun to make one of these each year to watch him grow! 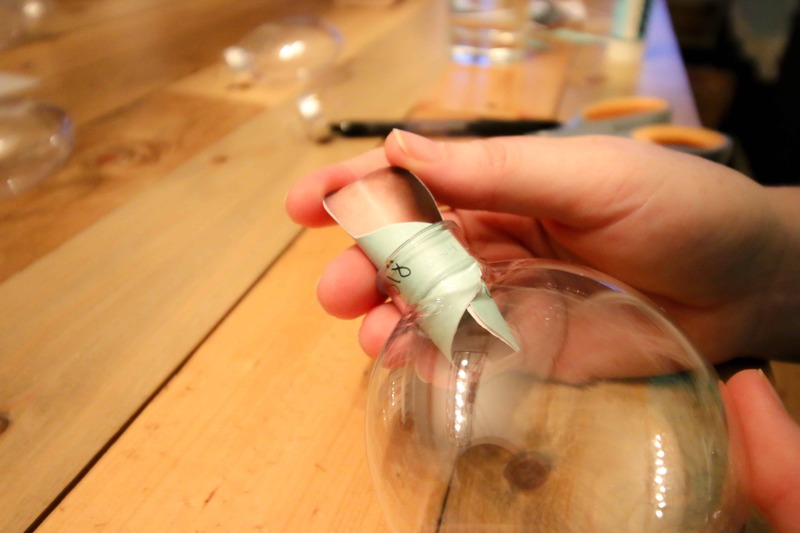 These ornaments are simple and inexpensive to make. They are a great gift and would also be a great gift topper! 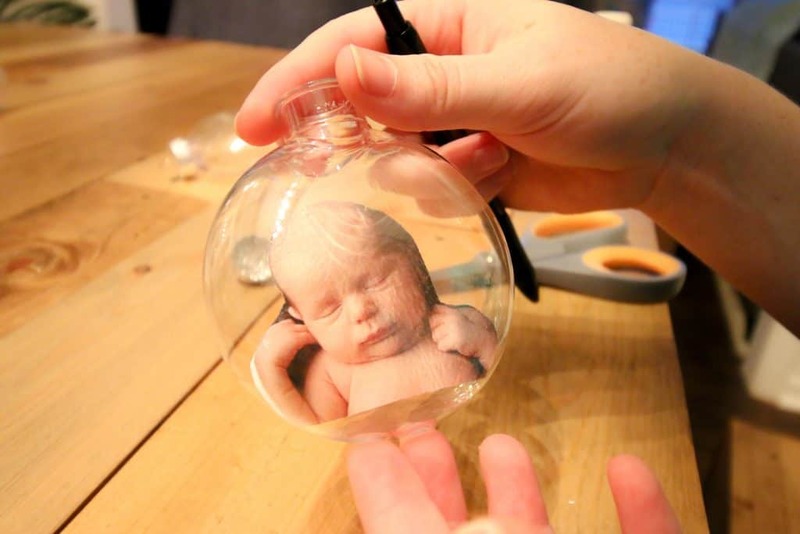 You could use any type of fillable ball ornament for this project. I used some that are a bit more flat but the perfectly round ones would work, as well. 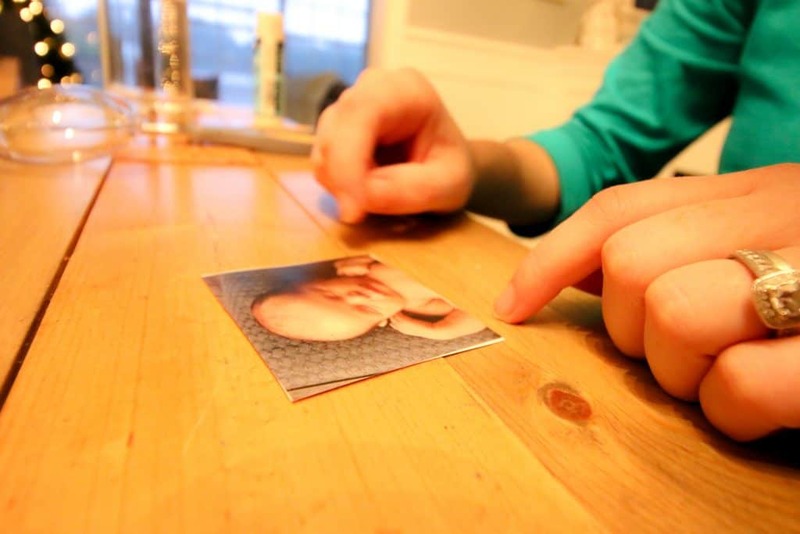 Cut the rectangle of your photo out of it’s paper. 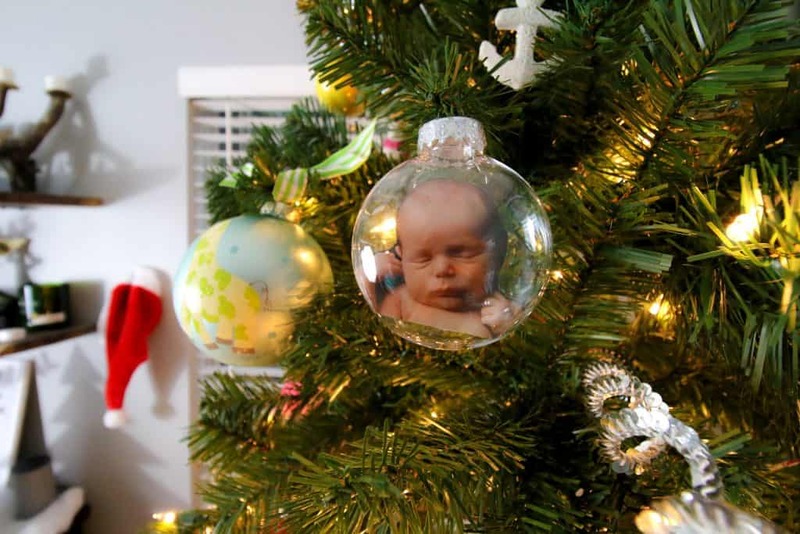 You might need to trace your ornament to be sure that the photo will fit. 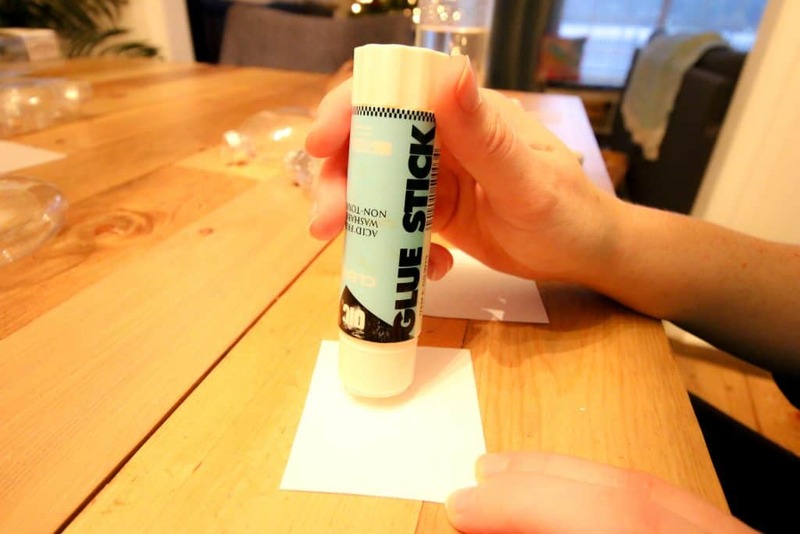 Use the glue stick to glue cardstock to the back of the photo, good side out. If you want to, use a pen to write a name, date, or place on the cardstock. Curl the photo and slide it into the ornament. Use the pen (not the ink! The other end) to straighten out the photo. Re-attach the lid. Add a ribbon or hanger. You are done!